Now available online, new scarves from Alonpi Cashmere. Each scarf or shawl has a distinct print or texture, made from the luxurious cashmere. 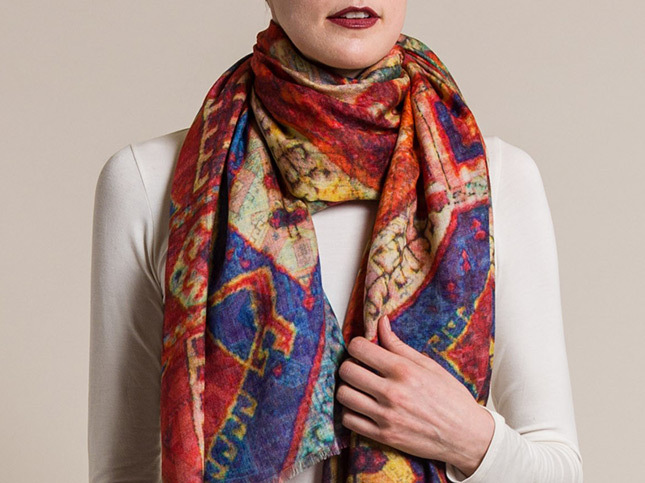 From intricate, double-sided printed onto cashmere/silk, to heavyweight woven blend shawls, all are tonal versatile. Colors are combined intentionally to be both wearable and elegantly textural. The scarves use the best quality cashmere, which creates a soft weave. Finding an ideal scarf for an outfit is possible due to their range of colors. This latest shipment is available online and in-store at Santa Fe Dry Goods on the Plaza in Santa Fe, New Mexico.